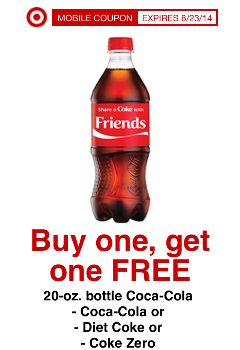 Score a coupon for buy one get one FREE 20oz bottle of Coke when you share a Coke with a friend through Facebook via your mobile device. Offer includes Coke, Diet Coke and Coke Zero. Coupon expires 8/23/14.